The Book of Secrets workshop comes complete with clear step-by-step instruction, videos, and downloadable PDF files for you to keep as reference. You can access the materials list by clicking the Tools and materials tab at the top of this page. The workshop areas are password protected and you will recieve access after payment. Copy and past this html code below to use. Scroll to the bottom of this page for booking details. 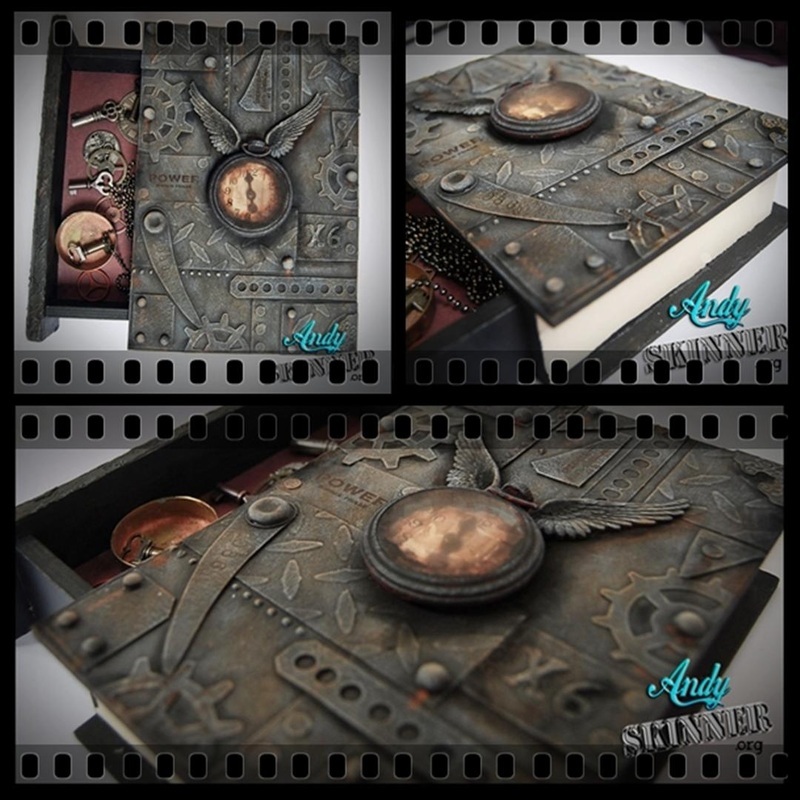 This altered art, Steampunk-style box has been so popular on live workshops and I have been asked so many times to run it online... so here it is! 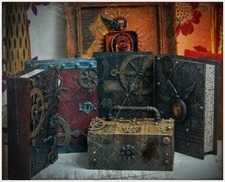 This altered box is constructed around a book shaped wooden box which has a secret drawer, you will be using acrylic paint and mixed media techniques to complete the overall Steampunk look. You will find all the tools and materials you need to complete this workshop in the tools and materials section. The techniques taught on this workshop can also carried out on a variety of boxes. It is not imperative that you have the wooden book box featured in the main pictures; this box is just an option. The box on the left is a good example to highlight this, a plain wooden chest transformed with the very same technique! Now included in this workshop is a new bonus video showing how to achieve this Steampunk finish! One payment gives you lifetime access to this course. Please note all passwords will be sent to the email address which you have paid with, once processed.